H Street residents will have to wait several more months until the streetcar is rolling through the neighborhood. 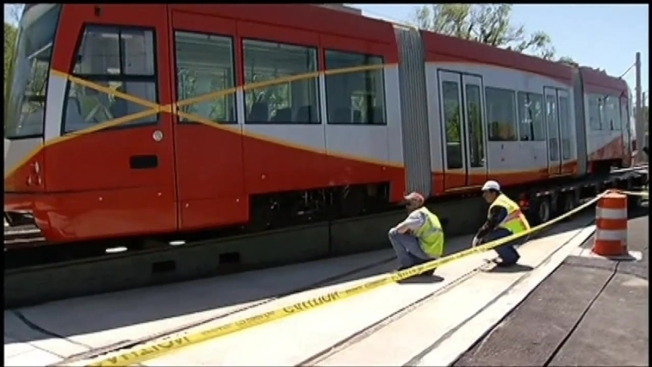 D.C. officials admitted Tuesday the streetcar, which was most recently expected to roll out in December, won't be debuting until an undetermined date in 2014. "We are committed to bringing this service safely within the federal and local requirements as soon as we can," Ronaldo Nicholson with D.C. Department of Transportation said Tuesday. News4 first reported last year the city was preparing for a 2014 rollout, while publicly saying the streetcars would be operating by the end of 2013. The city plans to roll out a 22-mile network of streetcars all over city. The hours and cost of the streetcars will be similar to Circulator buses in the city, and you'll be able to use your SmarTrip card. "I'm setting my sights for spring time," H Street Main Street Executive Director Anwar Saleem said. "I would love to have a nice parade and grand opening in December... but certainly int he spring." This isn't the first time the streetcars have been delayed. A "contracting error" kept the city from rolling the cars out in 2012.